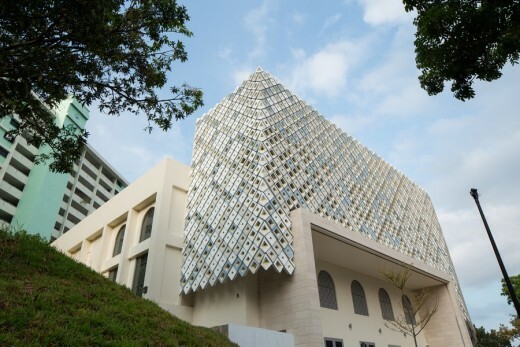 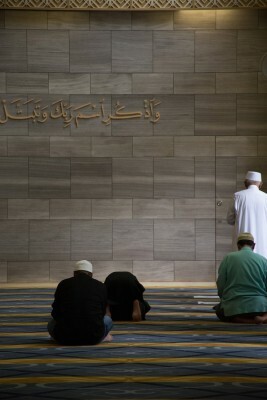 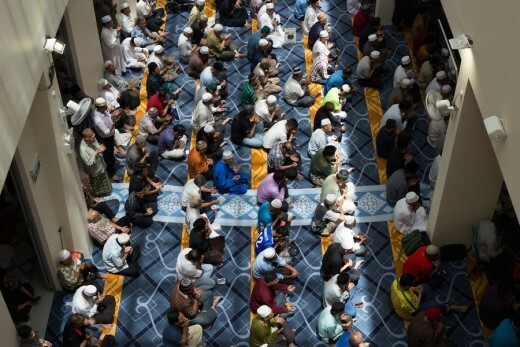 This mosque also embodies the idea of embracing both the new and the old in one body. 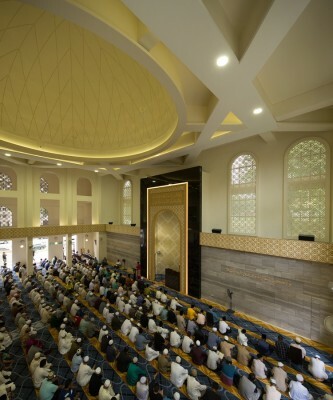 Elements like the minaret and main prayer hall’s dome are retained from the past and integrated with new structures like the floating podium, which will house classrooms and auditoriums. 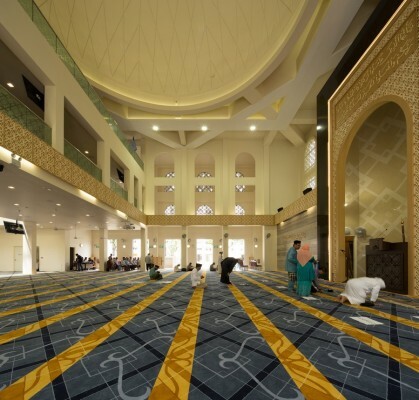 With a 300-seater capacity, the auditorium can be used as an extended prayer space, as well as a multi-purpose venue for events like weddings. 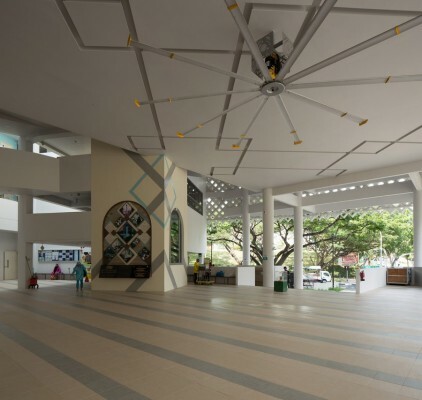 The main design feature devised by the architects was a large covered community plaza at the front of the site, created by a podium consisting of a cantilevered steel girder box. 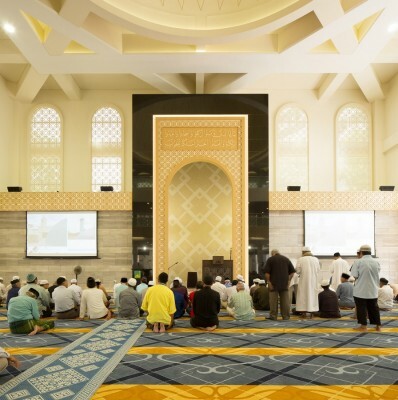 It embraces the existing prayer hall and minaret and appears to float above the plaza and surrounding streets. 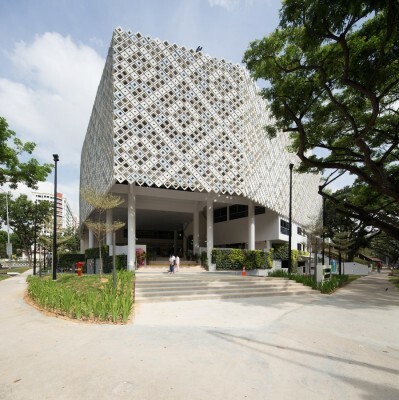 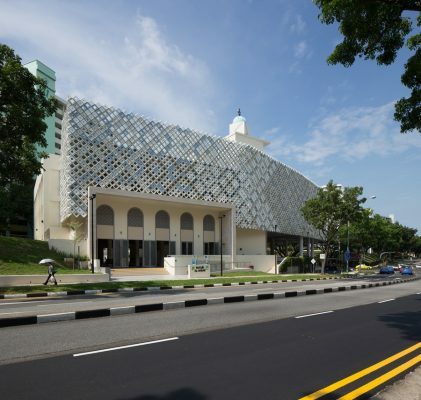 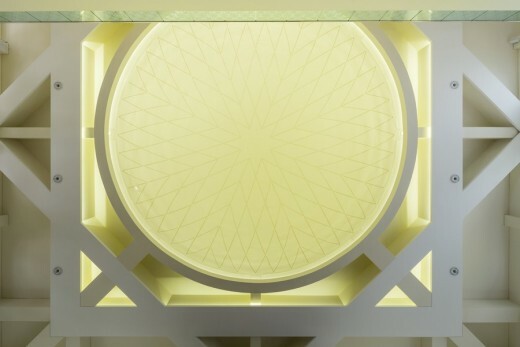 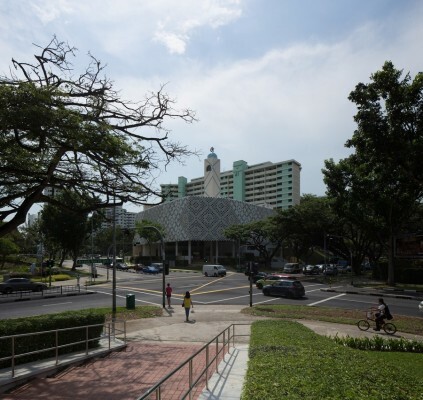 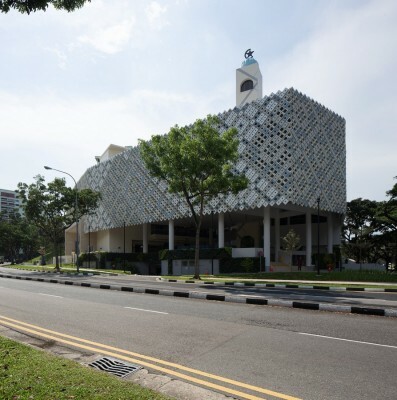 The plaza has been conceived so that it may serve multiple functions, and is envisioned as providing for the many facets of Malay life: an informal gathering space, extended worship, and for social events. 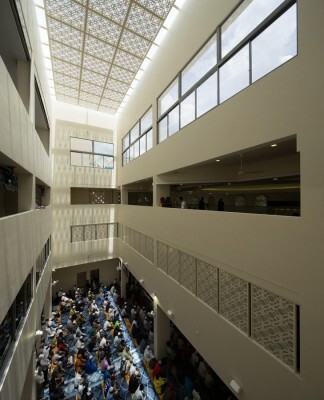 The new volume floats above the plaza and houses new programmes, including a new multi-purpose 300-seat auditorium and function rooms that may also be used as an extended prayer space for up to 460 people. 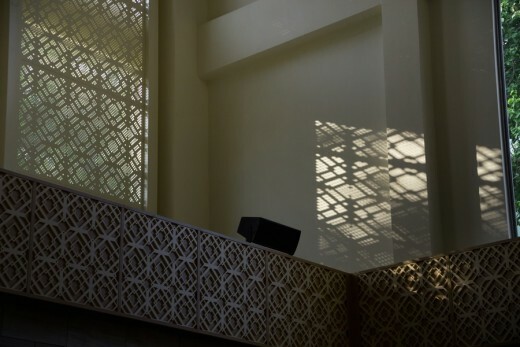 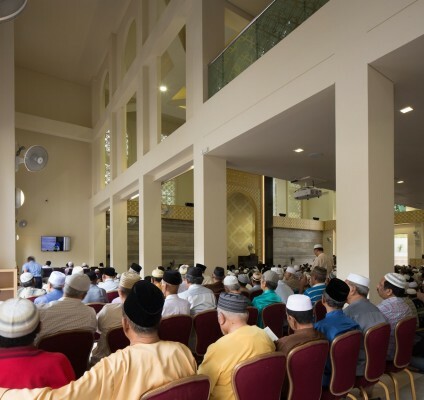 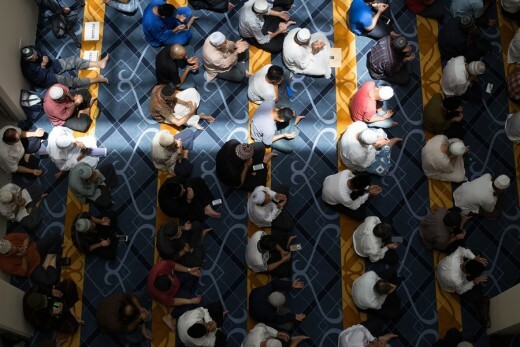 This space also offers infinite possibilities for interactions between the people, as it constitutes an ‘urban room’ where the Muslim community can come together. 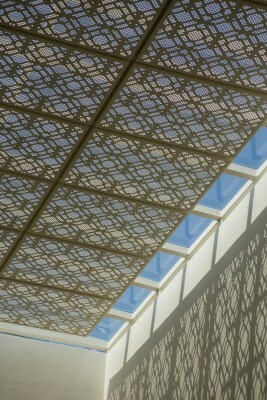 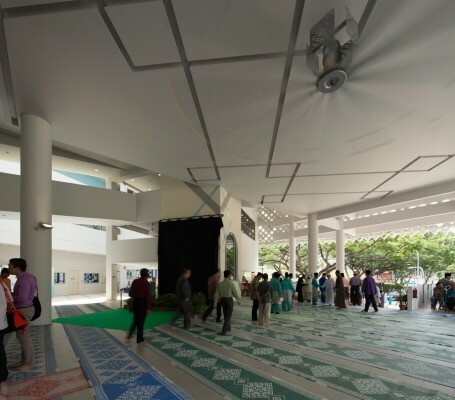 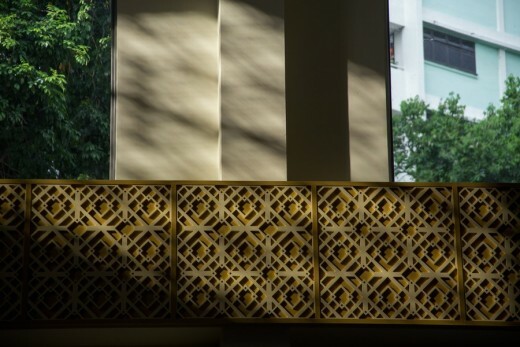 Other key features in the mosque’s redesign include a second block that houses classrooms and offices, as well as religious classrooms and a kindergarten. 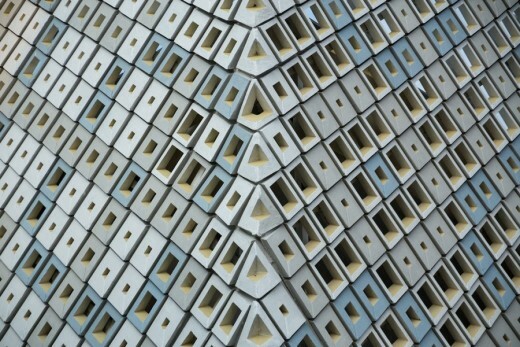 The ‘Old and New’ will be expressed independently whilst being experienced collectively as an integral whole. 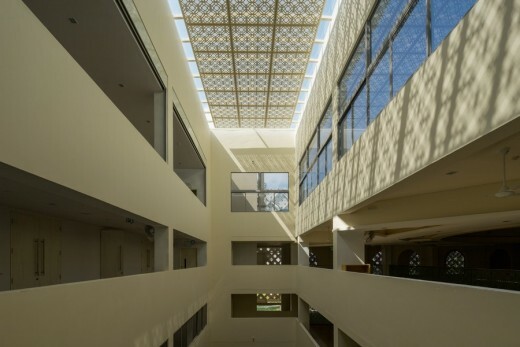 A series of skylights mediate the interfaces between the two states and a visitor moving through the building will constantly experience the presence of both – akin to a continuous dialogue between tradition and modernity.